Sydney-based Spinifex Group has collaborated with Director Han Lixun and other creatives involved with the Beijing Olympics, to create a cinematic multimedia spectacle for Yan City, which has just opened in China’s Chun Zhu Province. 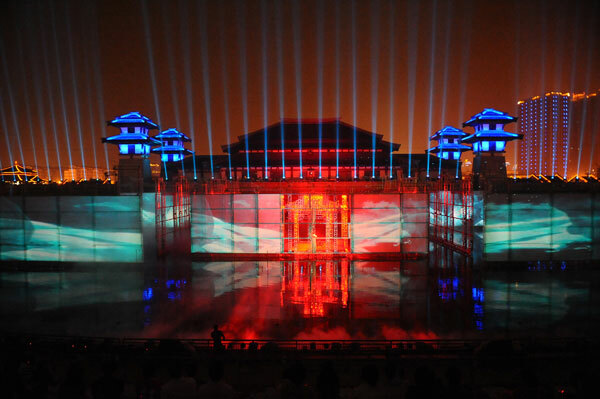 Performance of Yan Yu Chun Qiu Water Show. Image courtesy of Spinifex Group. Image from "The Past Meets the Future." Image courtesy of Spinifex Group. 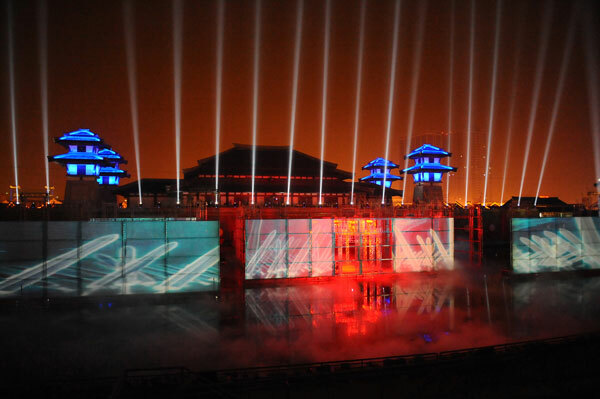 “A state-of-the-art vision for the Water Show Spectacle provides a beginning to a whole new way of Chinese storytelling using new digital technologies,” said Han Lixun, famous for the print-block segment of the Beijing Olympics Opening Ceremony, in which Spinifex was also involved as one of the only non-Chinese production companies. The content begins on the 250-meter-wide wall of the museum, then appears on a unique 100-meter-wide retractable scrim array, floating on a man-made lake. The content is choreographed to a wide variety of state-of-the-art show effects, including fireworks, water screens, laser and fog machines and presented with surround sound. Director Han Lixun and Spinifex creative director Richard Lindsay and his colleagues worked with Yvonne Ho, who was producer on the Beijing Olympic Games, to create this spectacular high-tech storytelling achievement.